A ride on a rollercoaster is the highlight of any trip to an amusement or theme park, and such attractions have been entertaining the public for well over a century. 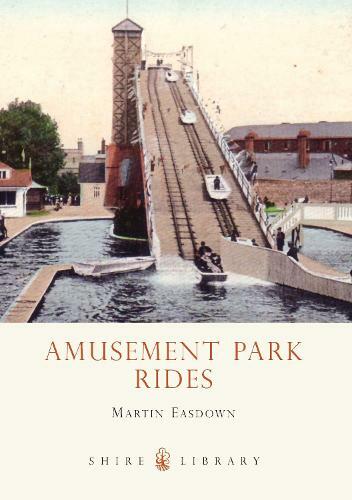 From the first mass-produced rollercoaster, the Switchback Railway, through to the giant wooden coasters of the inter-war period, seaside historian Martin Easdown uses historic postcards and photographs to chart their development and that of other amusement rides including revolving towers, aerial rides, Ferris wheels and water chutes, all of which were produced from the late Victorian era in myriad forms. Essential to the very existence of such amusement venues as Blackpool Pleasure Beach and Margate Dreamland, these much-loved rides are not so far removed from their modern-day equivalents as they might at first appear.